These heart stethoscope embroidered vinyl key fobs are perfect for the doctor or nurse in your life. They can be used as a key fob or attached to their stethoscope to let everyone know who it belongs to. Created on marine vinyl, you can add a monogram to personalize it for your favorite nurse or doctor. Also perfect for anyone graduating from nursing or medical school! Each key fob can be customized in colors of your choice! Shown in white vinyl, other colors are available upon request. 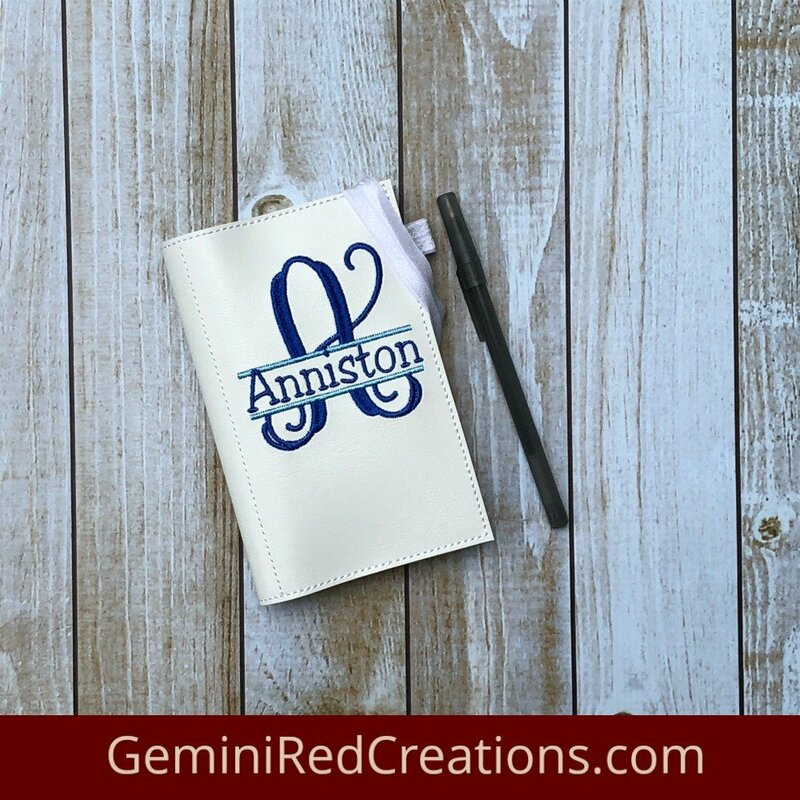 Specify in the note section at checkout preferred colors and the single letter monogram of your choice. Key fobs are machine embroidered on the front side only. Matching vinyl is attached to the back side using an outline stitch. This makes the key fob very durable! Excess vinyl is hand trimmed, and a functioning, colorful snap is attached to create and secure the loop to the backside. Dimensions of the key fob are approximately 3″ by 2″. Key fobs are made out of durable marine vinyl with appropriate thread colors to match the logo as close as possible. Each key fob will come with a split ring and a swivel lobster clasp. I use plastic KAM snaps so you can easily use them on any item. They are machine embroidered, hand cut, and hand assembled. 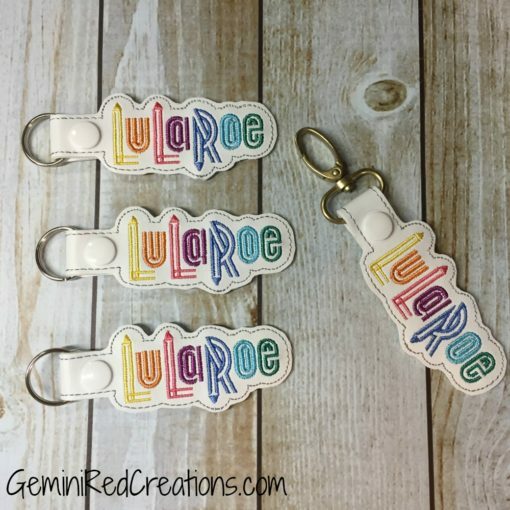 The key fobs make unique and thoughtful gifts for anyone including: party favors, teachers, family, friends, nannies, graduates, and more! This listing is for the purchase of ONE key fob. If you are ordering 3 or more of any combination of embroidered key fobs – a discount of 10% off will automatically be applied to your cart at checkout. If you are ordering 10 or more of the same key fob – a discount of 15% off will automatically be applied to your cart at checkout. Marine vinyl is waterproof and is antimicrobial.